Welfare Reform And Poverty – A Broken Link? The latest child poverty statistics from the DWPs Households Below Average Income (HBAI) found that as of 2013/14, levels of poverty were broadly unchanged. What Impact Has Welfare Reform Had On Poverty So Far? Most people expected poverty to increase following the reductions in welfare spending introduced over the course of the last parliament. A brave few may have expected it to fall as a result of welfare reforms aimed at encouraging people into work, combined with record employment rates. On balance, poverty was expected to increase, certainly in the short term, since it is far too early for ‘prospects’ oriented reforms such as Universal Credit to have had any meaningful impact. There were some changes. 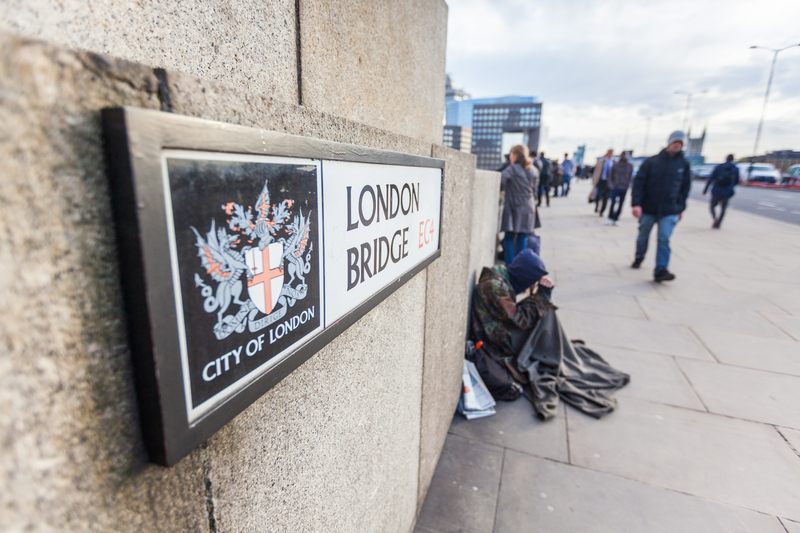 Policy In Practice’s own analysis found a rise in in-work poverty and the Joseph Rowntree Foundation pointed out an increase in poverty for households with a disabled person. More on these later. The overall message, acknowledged by commentators including John Rentoul, is that not too much has changed. It would be too simplistic to suggest that the effect of welfare cuts and welfare reform would cancel each other out. But we can draw parallels between two separate poverty reduction strategies. A ‘Pockets’ approach that would rely more on cash transfers to lift people out of poverty. A ‘Prospects’ approach that would place a greater emphasis on employment and education. The ‘Prospects’ approach would take longer to have impact but, if successful, would lead to sustainable falls in poverty. This is particularly important in the context of the current debate about what will happen to tax credits in the emergency budget in July. It is widely expected that Child Tax Credit will be cut, by as much as £1,400 per year for 3.7 million low income families, saving £5bn according to the IFS. Child Tax Credit, unlike Working Tax Credit, is available to both in-work and out-of-work families with children and takes a ‘Pockets’ approach to tackling poverty. The Prime Minister and Chancellor argue that this is too expensive. Iain Duncan Smith has consistently argued against policies aiming at lifting people above an arbitrary level of income, as set by the poverty line. The Work and Pensions Secretary favours a ‘Prospects’ approach to tackling poverty. His measures of tackling poverty relate to educational attainment, and work. He argues that reforms like Universal Credit will support more people into work and lead to a sustainable fall in poverty over time. Yet, the government has so far failed to properly acknowledge that a ‘Prospects’ approach to tackling poverty needs to be funded too. Whilst it is true that an ever increasing personal tax allowance does take a ‘prospects’ approach to increasing incomes, it excludes low earners, instead favouring middle income households. An alternative strategy favoured by Policy in Practice would be to lower the withdrawal rate of Universal Credit. This would be far more cost-effective than increasing the personal tax allowance. A fall in the withdrawal rate would show that the government was indeed serious about tackling poverty, but through prospects rather than pockets. A lower withdrawal rate would support a greater number of low income households and support prospects by increasing the rewards for those that progress in work. It would also make measures such as the living wage, argued for by the Prime Minister in his speech on tax credits, more effective by ensuring workers kept more of their higher wages. Our analysis of the poverty figures in the HBAI found that a growing proportion of families in poverty were in work. This is perhaps the clearest evidence of success, if any can be claimed, of the government’s welfare reforms. We must acknowledge that in-work poverty is a better outcome than out of work poverty, both in terms of the money in people’s pockets, and their prospects for the future. At the same time, more needs to be done. I was at a conference in Scotland recently and heard an excellent speech from a man named Ryan about the challenges he faced as a disabled person entering the labour market. Disabled people are much less likely to be in employment than non-disabled people and those that are in work are more likely to be low paid employment. A prospects approach would require additional support to help disabled people into the labour market, and overcome employer prejudices. However, to tackle in-work poverty through prospects, the simplest and most straightforward measure the government could introduce would be to let low earners keep more of their earnings. That is why the government should invest in Universal Credit. Policy in Practice recently carried out a consultancy project for Leeds City Council to analyse the cumulative impact of welfare reforms at a household level. The council knew that welfare reforms were set to have a big impact on the city overall but they had no way of knowing the impact that future reforms like Universal Credit would have. By running its housing benefit data through Policy in Practice’s Universal Benefit Calculator they were able to understand the impact at an aggregate level and to pin point exactly how each household is affected by both current and upcoming welfare reforms. If you want to read more about this work contact us to request a copy of the case study.